The preparation for the sacraments of First Reconciliation (Confession) and First Eucharist takes place during the second year of Religious Education instruction for the elementary and middle school students. The cooperation of parents is essential to the success of this sacramental preparation program. Parents are asked to attend five information meetings during the year. At the end of the second year, there are sixteen weeks of Sacramental Preparation. 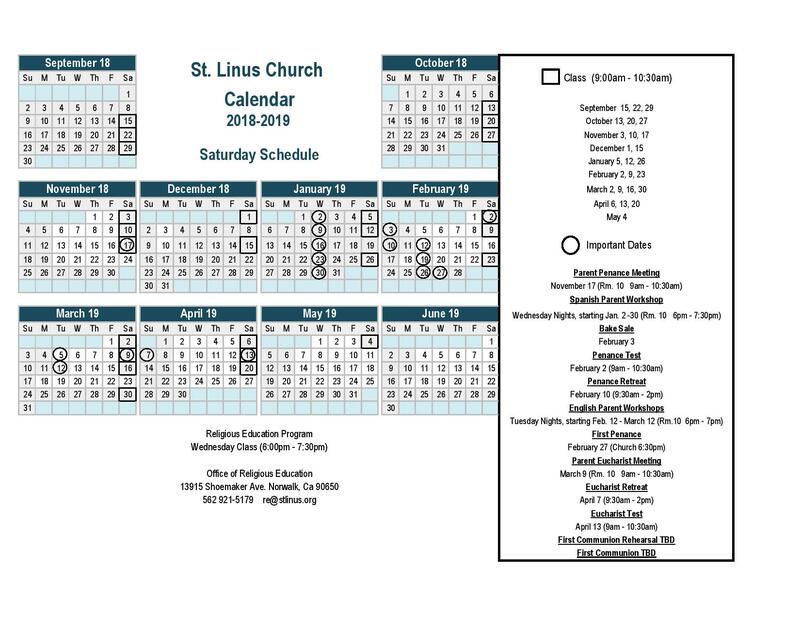 All students and their families are expected to attend Mass on Sundays and all Holy Days of Obligation. Students are expected to attend at least 85% of their classes. After three absences, the student’s continuing status will be reviewed. Religious Education enrollment for First Holy Communion and returning students begins June 4th through September 4th. 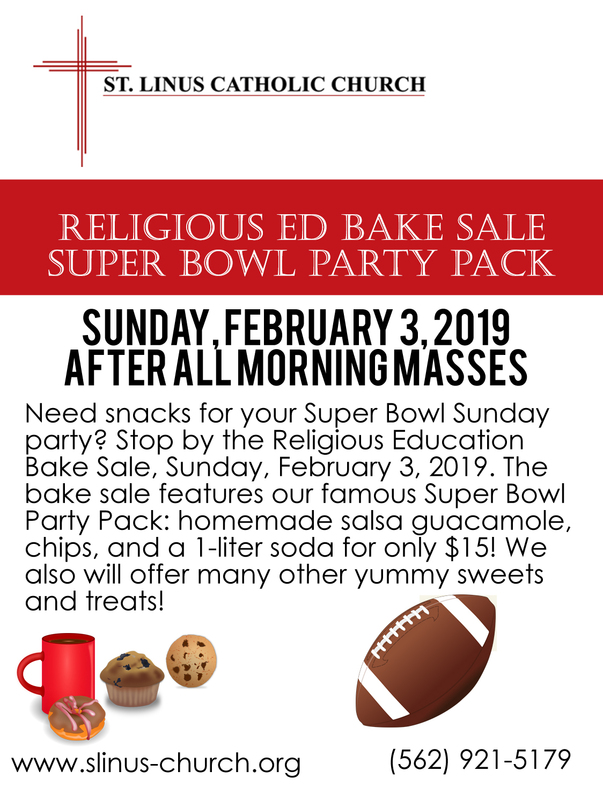 Applications are available at the Religious Education Office and the Parish Office. Both Wednesday and Saturday classes are available for most grades. 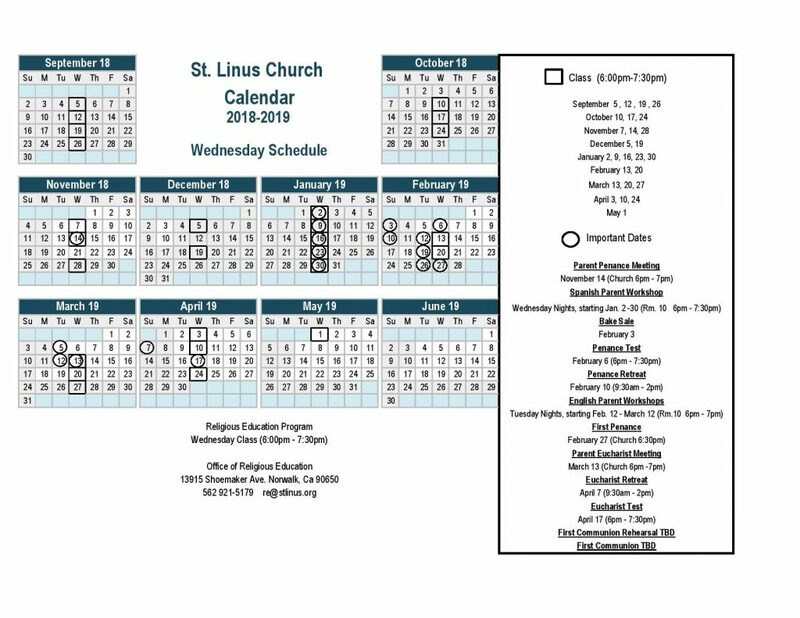 If you have any questions regarding our program, please call the Religious Education Office at (562) 921-5179 or email us at re@stlinus.org.